Don't keep going to the cleaners especially when you have a machine that needs a basic repair. Very often washing machine problems are simple, quick and cheaper than you may think. We promise to diagnose and provide costs for workbefore carrying them out, so you have the choice before the bill arrives. - Get your 10% Off Washer repair and maintenance in Duluth are our most popular! At Apex Appliance, we keep things simple, clean and honest. Our focus is on locating the problem you report, identifying the cause, finding the components or amendment to fix the problem, providing you with a price to perform the fix and once you confirm, we repair your washer as quickly as possible so you can be up and running. 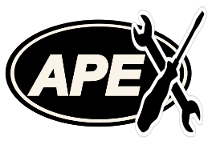 Apex offer a special 10% discount on the labor element of your bill, when you complete your details on our repair request form. Click here to fill it out today. "There is a problem, it does not cycle." The main control unit could be at fault here. We can test and if a simple fix we'll do it right there, or we'll order a new one and fit it for you. "The door will not open." If the was cycle has finished and it is still stuck, we have a few solutions, some simple which we can tell you over the phone before driving out to see you. "It has stopped spinning and my clothes are still soaked." This could be a blockage or cycle problem, call us or complete our repair request form and we’ll be there. "The machine does not drain properly." Sounds like a similar problem to above. "The water is not getting hot." This could be a feed or thermal unit issue. "It's making a loud noise and I'm concerned." Stop using the machine straight away, there could be several reasons for this, which if left could severely damage your washer. "My machine smells bad." Use off the shelf machine cleaners, if the problem persists contact us and we’ll find the cause.